I downloaded the Socioh Instagram app for iOS. How can I check if the notifications are enabled? 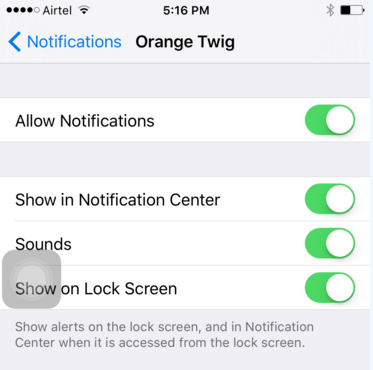 Check if the notifications are enabled for the Socioh Instagram app and enable them. Go to 'Settings' on your iPhone. 2. Click on Notifications (it's right below 'Carrier'). 3. You'll see all your apps listed here. Find Socioh and click on it. 4. 'Allow notifications' should be enabled (green). 5. If notifications aren’t enabled, you can enable them from here.